Easy HTML5 Video is a free wizard program that helps you create HTML5 video for your website in a few clicks. All it takes is 3 easy steps to convert any of your video to HTML5: 1. 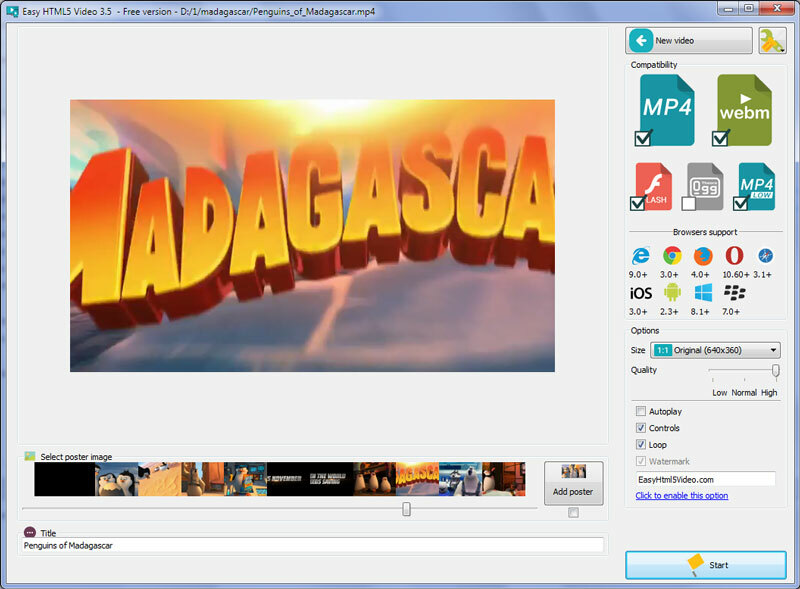 Drag-n-drop video file to Easy HTML5 Video; 2. Set poster image, select codecs, tune settings; 3. Press "Start". As a result you\'ll get an html page with all necessary code, images, and videos. EasyHTML5Video makes your life easier with HTML5 video!